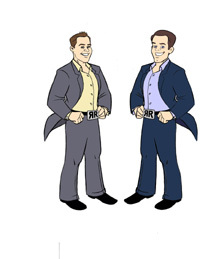 Tom Karadza & Nick Karadza work with a select group of clients from across Canada to build wealth investing in real estate throughout the Greater Toronto and Golden Horseshoe areas. To learn more about their investing approach you can request a FREE digital copy of their book, Income For Life for Canadians, by clicking here or attend one of their Real Estate Investing classes in their Oakville, Ontario offices. They also publish a weekly Real Estate Investing Newsletter available by clicking here and a monthly Real Estate Investing and Wealth Building newsletter exclusively for their clients. You can also keep track of them by visiting their new Canadian Real Estate Investing Blog. You invest in Real Estate to help create your ideal lifestyle. Whether that's up at the cottage reading a book by the lake or spending summers in a Tuscan villa or flying to L.A. for a weekend getaway. Whatever your "Rockstar Life" is to you. 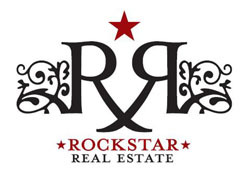 Using real estate lingo, Nick is the "Broker of Record" and Tom Karadza is a "Broker" with Rock Star Real Estate Inc. in Burlington, Ontario. There is now a small elite team that works side-by-side along with them. They have also recently published a book now available on Amazon.com by clicking here, titled "Income For Life for Canadians", full of tips, stories, tactics and strategies for Canadian investors. Tom and Nick love hearing from their readers. They are available, schedule permitting, for speaking, seminar engagements, and consulting. To contact them regarding any of these matters it is best to write or fax. Do You Have A Real Estate Investing Question For Us? We have a page on this website where you can submit a real estate investing question to us.